Lake Tahoe is the largest alpine lake in North The east end of the city, on the California-Nevada state line, is mainly geared towards tourism, with T-shirt shops, restaurants, hotels, and Heavenly Mountain Resort with the Nevada casinos just across the state line in Stateline, Nevada. Ski resorts begin the mountain ritual of welcoming skiers and boarders. Sledders and sleigh-riders discover joy in simply sliding over the whiteness, while those piloting snow machines or snowshoes take to the trees in their quest for adventure. 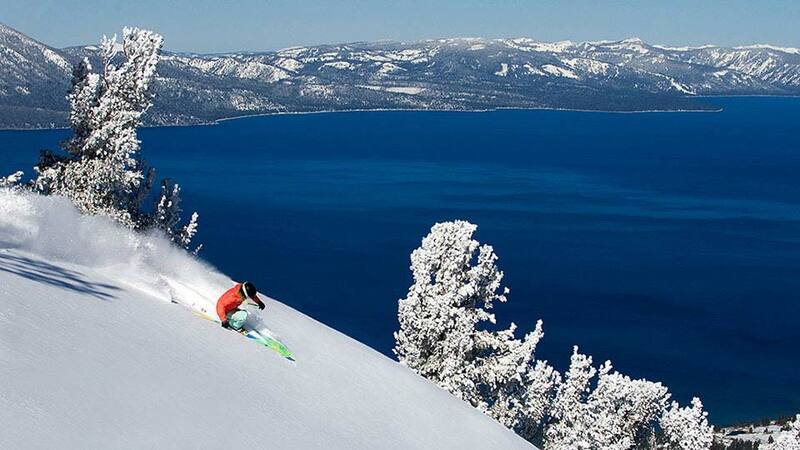 Descend upon Lake Tahoe South Shore for a variety of pro skiing and snowboarding events. In the evening, the action goes indoors with nightclubs, big name entertainers and dining choices too endless to count. To get to South Lake Tahoe you can fly into the Reno/Tahoe, Sacramento, San Francisco, San Jose, or Oakland airports. From the airports you can either self drive, catch a bus or shuttle service or get a private transfer to take you to South Lake Tahoe. Shuttle services and public transportation services are literally everywhere. Ski resorts, attractions and casinos offer free shuttles. And low-cost trolleys and taxis are widely available.